Look at this Unique Royal Wedding Hat which is one sample of the many Quality Royal Wedding Hats we have in Stock. These Royal Wedding Hat Images are only a fraction of the thousands of Amazing Royal Wedding Hats we have in Stock at Dallas Vintage Shop. We have the latest Royal Wedding Fashions for the Prince Harry & Meghan Royal Wedding on May 19. 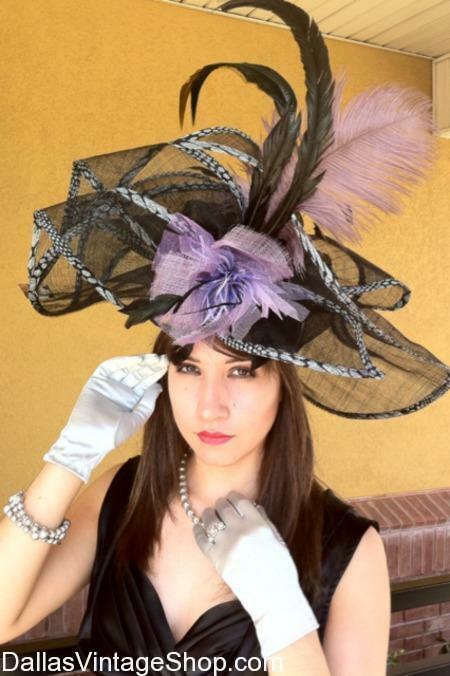 We have the Unique Royal Wedding Fashion Hats that will make you stand out in a crowd. Get Whimsical Fascinators & Customized Whimsy Hats for the Royal Wedding Watching Parties & Celebrations everywhere.